After you’ve rigged your boat with all the necessary equipment you need for safety, you might cast an eye on some gadgets that make a statement about who you are and your reason for purchasing your boat. Maybe you want some gear to entertain guests on your boat. Or, perhaps you’d want a tool to help with your offshore photography. We’ve even included an item that might serve as a new lifestyle for you! Hopefully, these gadgets will fire your imagination and stoke your drive to get out on the water! GorrillaPod: A serious photographer may already know about this tool — a tripod that can wrap around any object to stabilize your camera (we’ve even seen them on a few heads and windshields). Joby’s GorillaPod can open up a full range of possibilities for photographers who want action shots, self-images, on-the-water video footage, and unusual angles. Your photos and videos no longer are at the mercy of sea legs, and — with the ability to bend the leg joints 360 degrees and rubberized feet for stability and traction — you can get realistic action and beautiful shots. You might want to get the GorillaPod Magnetic line, which enables you to attach your camera to any metallic surface like a magnet. The GorillaPod is available in several sizes and fits most any camera or camcorder or smartphone. Handpresso: Don’t let the French website dampen your desire for the only hand-held espresso machine in the world. The Handpresso, dedicated to the traveling espresso lover, also is sold at online stores like Amazon.com. The hand-held Handpresso espresso maker is easy to use. Just operate the hand pump to 16-bar pressure (like a bicycle pump), add hot water to the coffee pod, release the valve, and you can have an instant high quality espresso anywhere. Be aware, however, that the water temperature is critical for the final result. If you use freshly boiled water from a kettle, the water temperature is about 203 degrees F (95 degrees C) when it gets in contact with the coffee. The water from a thermo flask is usually colder, but temperatures down to 176 degrees F (80 degrees C) still provide an acceptable result. The Hov Pod SPX TCC: This range of hovercraft by Hov Pod are ideal for anyone — from the person who just wants a leisure vessel to the individual who needs to transport guests to and from a yacht. Hov Pod SPX is the only hovercraft made with HDPE, or High Density Polyethylene. This material makes the craft stronger than glass fiber and extremely buoyant. Plus, unlike jet skis and motor boats, the Hov Pod can smoothly navigate across terrain such as mud, sand, snow, ice or any other flat surface, with a speed of up to 45 miles per hour. 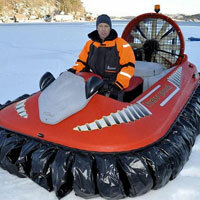 If you’ve craved a hovercraft, but you’ve been disappointed with the options, try Hov Pod. 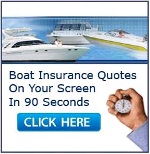 You can enjoy piloting the craft and we’ll be happy to talk about your boat insurance options. Just contact United Marine Underwriters today.